Years ago I watched an old black and white movie — the title escapes me — that opens with a World War I aerial dogfight where one of the pilots keeps checking his watch to see if the war was over yet. In the opening minutes of the film a couple of planes get shot down, men are killed, and then the hour arrives and they cease firing. The combatants salute each other and fly their separate ways. 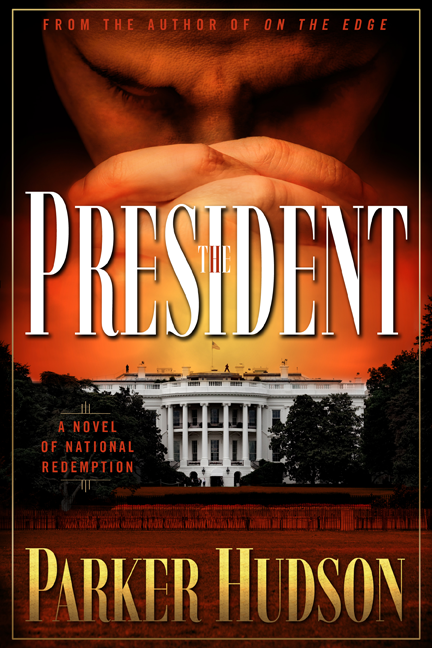 The events portrayed fictionalize what actually took place one hundred years ago today. On the morning of November 11, 1918, the Signal Corps confirmed the dispatch along the western front — the shooting was to stop at 11:00 a.m. in accordance with agreement reached between Germany and the Allied Powers. It is very odd to think that men continued to fight and die up until that “eleventh hour of the eleventh day of the eleventh month,” but they did. A year later in 1919 that day was celebrated as a holiday — Armistice Day. After World War II the name was changed to Veterans Day. What follows are a few examples of important information that Americans should know and not forget. a cloudless sky, to populations which knew almost nothing of it and had been raised to doubt that it could ever again trouble their continent. — the rational and liberal civilization of the European enlightenment, permanently for the worse and, through the damage done, world civilization also. Pre-war Europe, imperial though it was in its relations with most of the world beyond the continent, offered respect to the principles of constitutionalism, the rule of law and representative government. Post-war Europe rapidly relinquished confidence in such principles. How many of us learned in school about the impact of the First World War? American school children — let alone college kids — can’t forget what they never learned in the first place. Public school students learn plenty about American atrocities but little about American sacrifice. How many people know that 116,516 of their fellow citizens gave their lives and another 204,002 were wounded between April 1917 and November 1918? 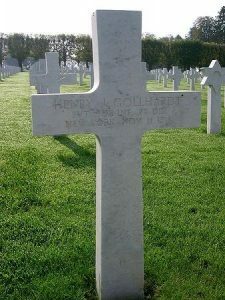 The gravesite of Henry J. Gollhardt, one of the many soldiers who died one hundred years ago today. As I wrote about here and here, 26,277 of those deaths and nearly half of the total war wounded occurred in a 47 day period that ended ninety years ago today. In college during the 1980s I was taught about the three great crises of American history: the founding era, the Civil War, the Great Depression/World War II era. My professors, who have since passed away, didn’t even include the Cold War — which was then in its final years. Other major American wars get little attention. Like World War I, the Korean War has also been referred to as the forgotten war. 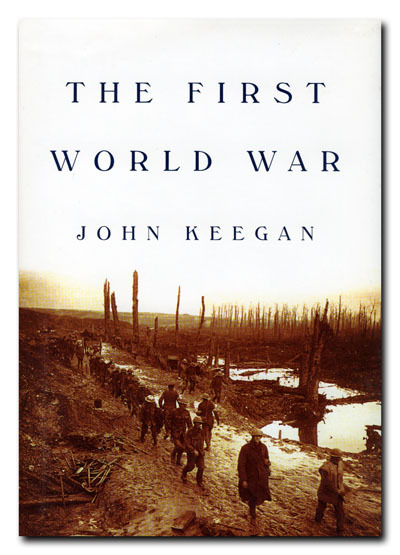 Both Korea and WWI were out shadowed by the Second World War, which was, in Keegan’s words, “five times more destructive of human life and incalculably more costly in material terms” than the First World War. Its origins are mysterious. So is its course. Why did a prosperous continent, at the height of its success as a source and agent of global wealth and power and at one of the peaks of its intellectual and cultural achievement, choose to risk all it had won for itself and all it offered to the world in the lottery of a vicious and local internecine conflict? Armistice Day, now Veterans Day — exists to make us look back, remember, and connect the events and the decades. Ninety years ago this morning men were still fighting and dying up until the eleventh hour. Today our soldiers continue to fight and die in Iraq and Afghanistan. We honor their service and will never forget their sacrifice. For much more on this topic, visit this page: World War I: 1914-1918.